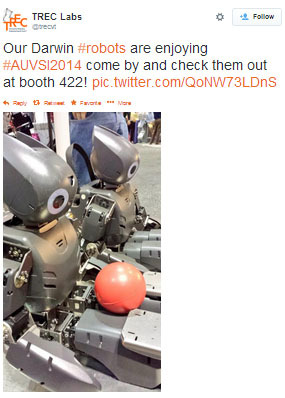 AUVSI 2014 has shown that robots will soon be a part of many aspects of American life. Farming, package delivery, search and rescue and many more fields are poised for a revolution. With all of the controversy surrounding “drones,” however, there is one application that often gets overlooked — fun. The BeBop Quadcopter from Parrot, a French wireless tech company, has its cylon eye set squarely on this sector. Weighing just 400 grams, this UAV is capable of flying to a range of up to 980ft and, as the company’s demonstration showed, “dancing” in formation to Daft Punk’s Harder Better Faster Stronger. Plus, it is compatible with the Oculus Rift. We wish we could see this demo One More Time. Jet engines may have props beat on speed, but the versatility of propeller technology has made it a staple of aviation since the field’s inception. That versatility serves the AUV industry, with its breadth of potential applications, better than any other means of propulsion. At the center of this advancing field is Hartzell Propeller. Our technology has pushed the boundaries of aviation for nearly a century, and our ASC-II Advanced Composite Propellers are uniquely suited to the next stage of aerial evolution. Composite materials are light and strong, crucial traits for sustained and effective UAV operation. The Hartzell Team was on hand to answer questions at AUVSI 2014. If you couldn’t attend click here to learn more about our technology. The word “drones” conjures a wide range of responses. That’s one reason the unmanned vehicle industry is trying to move away from the term. With charged opinions on all sides of this emerging field, the public rarely gets the chance to see a ground-level perspective on these high-tech aerial systems. 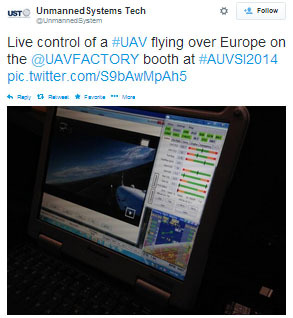 UAV Factory made an effort to pull back that curtain at AUVSI 2014. The company, which produces the endurance record-setting Penguin B aircraft, let attendees get a firsthand perspective on piloting a UAV cruising the UK’s skies from a chair in Orlando, FL. Famed futurist Arthur C. Clark wrote, “any sufficiently advanced technology is indistinguishable from magic.” AUVSI took Clark’s words to heart this year by hosting their annual social event at Universal Studios’ The Wizarding World of Harry Potter. The event was a great chance to meet other innovative minds in the industry and talk about the exciting future being shaped by emerging technology. Now we can’t wait to see robotic flying broomsticks in the skies above Orlando. 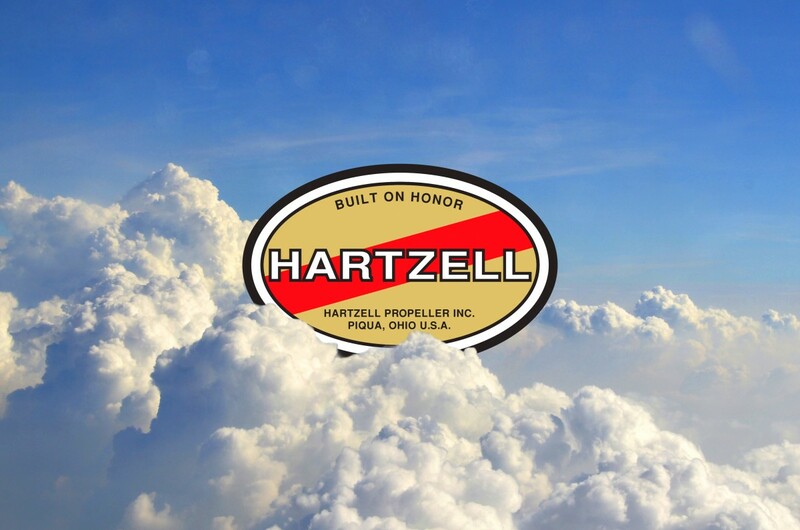 The Hartzell Team is, at its core, a group of incredibly technically minded individuals. Some might call us “nerds.” We prefer “boundary-shattering technology enthusiasts,” but that is just semantics. It should be no surprise, then, that our attention was grabbed by an exhibition of DARwIn, open-source humanoid research robots created collaboratively by ROBOTIS Inc., Virginia Tech, Purdue University and The University of Pennsylvania. DARwIn stands for Dynamic Anthropomorphic Robot with Intelligence. The small bot is a far cry from the T-1000, but it foreshadows a day robots like DARwIn will be terminating our household chores and countless other tasks.